In preparing your website for seo (search engine optimization), it helps to try a search for key works you would like to be found on google.com. How much competition is there? do the key words show your company as a listing? these are some questions you can research. Do everything you can to have links to your web page on these major web web sites. You’ll receive advantages greatly from piggybacking off in their luck. Austin search engine optimization means requires that you simply cater your search engine outreach to the Austin, Texas audience. Many search engine optimization strategies contain seeking to come up with the right keywords that other folks love to type in for an enormous seek engine like Google. While this is useful, have a broad search term and a very narrow search term in mind. Once you create search terms – create your site so that some pages and articles are based on those search terms. It will take time for Google to pick up these pages and articles with search terms – your seo company will create a foundation around those search terms. The other very important aspect is networking your social media. Can you be found on Facebook, LinkedIN, or other social networking channels? Depending on your type of message or product some networking social platforms may be more important than others. Having a YouTube channel is usually a massive boost on your brand. Sell stuff through Amazon – This will give you a huge boost too. Write a blank and unbiased article about your corporate on Wikipedia – This in some cases works – some SEO companies will not pursue this specific avenue. Those are all helpful steps to improving your company’s image, message and brand. Do you have a great domain name : Make sure you spell the domain correctly. Also if your company is not well known and is an unusal name – best to use a domain name of the product. This will give you better search potential. Research the product in your domain name : is this a well know product? Are there different variations to the product; bike vs bycyicle. This could splinter the result when doing a search for your product. Is the product too broad; candles, herbal medicine, exercise, etc. Create unique content that has value : Each pages of your site has to be unique and based on your company mission or product. There should be lots and lots of juicy content. Google can not capture and rank a site that is photo based. Photographers have a hard time ranking anywhere in Google and even locally since they tend to be photo based with no content. How can Google rank you without content?! Doe the content have key words, titles, images, perhaps video? Are the pages more then 500 words? Imagine doing earnings sharing commercials. Write a guest blog, create videos, submit articles to web 2.0 sites, submit information on Reddit. If you have viral movies on YouTube appearing your personnel doing bizarre stuff, this may lend a hand draw consideration to your company. Ensure your brand is not too similar to your competitor. This will take research on your part. Are your branding colors the same as your competitor? Is your logo similar to another similar brand. Is your company or product message clear? 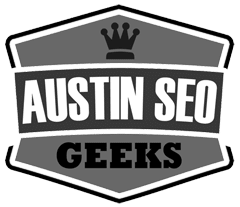 For Austin search engine optimization, subject your key phrase terms around something peculiar and well-liked, like beer, cows, vans, bar, cowboy etc. When folks find you ‘facinating’ or ‘interesting’, your site will be much more likely to be shared and viewed.